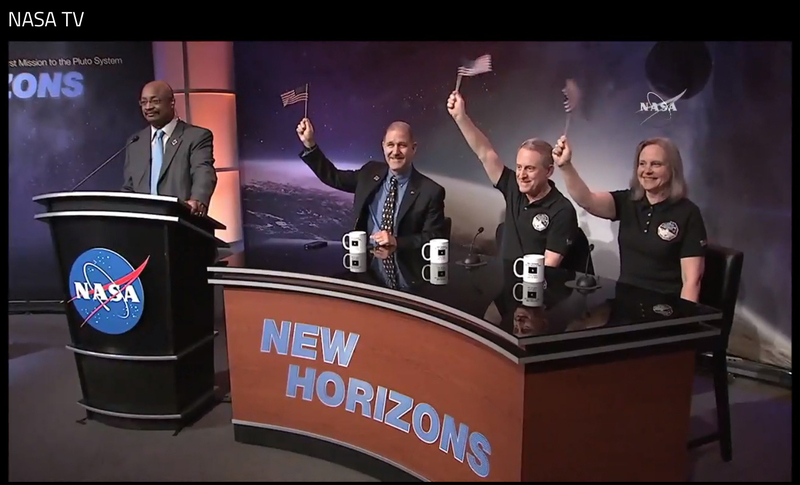 This week’s Pluto Flyby had most people at NASA in a state of giddiness by Tuesday morning, If you happened to be watching, you could see the agency folks sharing their exuberance over NASA TV, its website and all its social media channels. Here at PTJ HQ, we’ve taken a look at NASA’s apps and online presence before, but the missions just keep on coming and the online offerings just keep expanding. So it’s time for an update. For all your Pluto voyage news, visit the New Horizons mission page, where you’ve got photos, videos, animations, an illustrated diagram of the spacecraft’s instruments and even podcasts. You can also keep up with related tweets from NASA’s many Twitter accounts. To see what else is going on out in space, visit the main Missions page to check out all the projects NASA has in the works. 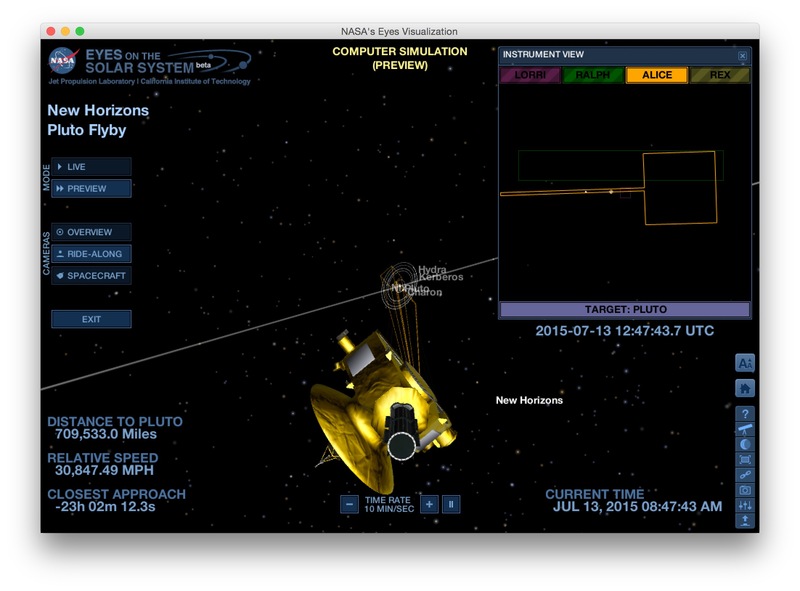 The Eyes on Pluto desktop app for your Mac or PC shows simulated mission data, and when you get done on Pluto, you can jump to another mission like Dawn or Juno. And it’s free. NASA is a government agency, so in fact, most of the material on the site is free, You can find mobile apps galore and free e-books (on such topics as the Hubble Space Telescope, flight research and if you need a little light reading, a tome called Historical Analogs for the Stimulation of Space Commerce.) The site has general podcasts on other topics besides Pluto and even photos to liven up your day, plus audio clips and ringtones. And don’t forget, getting kids interested in space is getting them interested in the future. NASA has a hefty amount of its own space devoted to educational material. There’s an area for older students to learn about the Pluto trip or spot the International Space Station in the night sky — or even get to know the astronauts. For the younger set, there’s the games-and-activities subsite called the NASA Kids’ Club. And that’s just the main NASA site. The Jet Propulsion Laboratory has its own chunk of the Web filled with all kinds of good science-y stuff. Not sure where to even begin? Call up NASA’s launch schedule and plan accordingly.